Favoured by royalty, Siamese cats are extremely bright and tend to live longer than cats of other breeds. Modern Siamese cats have sleek long bodies, long slender legs, wedge-shaped faces, aristocratic features, and slanted deep blue eyes, which are sometimes crossed. Traditional (Applehead) Siamese cats have rounder faces, smaller ears, and slightly stockier bodies. Siamese kittens are born off-white, without markings. The points (coloured markings on the face, legs, tail, and ears) develop slowly after the kittens are born. Colder temperatures cause the Siamese to develop darker points, which begin to appear when the kittens are a couple of weeks old and continue developing for months or even years thereafter. Warmer temperatures cause the development of lighter, more subtle points. Purebred Siamese come in chocolate point, blue point, lilac point, and seal point. There are also many hybrids in other colours. While most believe that Siamese cats originated in Thailand, previously known as Siam, it is also possible that they originally came from Egypt and made their way over to Asia via trade between the two regions during Cleopatra’s reign from 69-30 BC. Siamese cats lived in homes, temples, and palaces in ancient Thailand. They were not revered as in Egypt, but were valued for their ability to catch rodents. Queen Victoria, who reigned from 1837 to 1901, was fond of cats and adopted a Siamese, increasing the popularity of the breed. Queen Elizabeth II, the current queen of England, also has a Siamese cat, and Siamese cats have been favoured by the families of a number of U.S. presidents as well. Many Siamese once had kinks in their tails, though this has been mostly bred out of modern Siamese cats. There are a couple of legends to explain the kinked tail. The first involves the disappearance of a valuable goblet from a Buddhist temple. Two Siamese cats were sent to find it. When they had located the goblet, the male cat went back to let the priests know that the mission had been successful, while the female remained to guard the goblet. She wound her tail around the stem to ensure that the goblet did not go missing again, and as a result, her tail became permanently kinked. A second legend has it that a Siamese princess placed her rings on her cat’s tail for safekeeping. When the cat slept, the rings fell from her tail and were lost. The princess tied a knot in the cat’s tail to prevent future losses, creating a kink in the tail that appeared in all Siamese cats from that day forward. 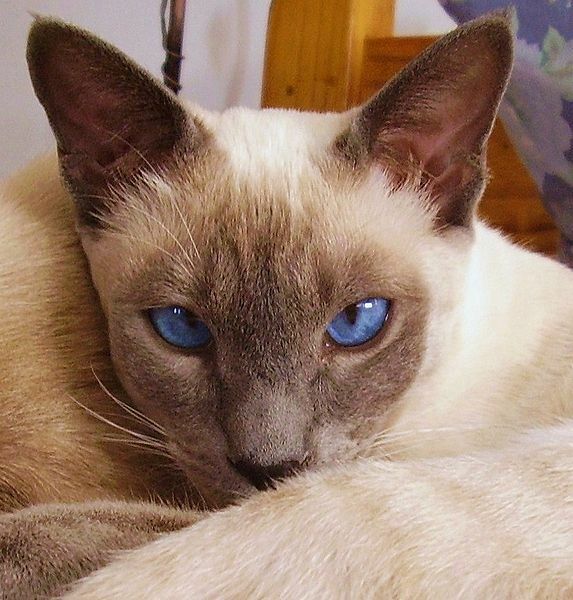 Siamese are believed to be the most intelligent and inquisitive of all cat breeds. They are also very talkative, both with their loud voices and their eloquent body language. They are extremely curious and clever, unpredictable, and prone to jealousy. Siamese like to be close to their owners, and some will try to follow their humans to work or school. Many Siamese can learn tricks if their owners are patient, and they are also good at figuring out how to open cupboards and solve other logistical problems. Siamese cats are playful, loving, loyal, affectionate, and fastidiously clean. Because they are extremely smart and sociable, they need a lot of interaction. Owners who work long hours but wish to have a Siamese should adopt two cats so that the Siamese has company. Otherwise, he is liable to grow bored and get into mischief. How Long Do Siamese Cats Live? Most Siamese cats live for an exceptionally long time. Life expectancy, barring serious illness or accident, is well into the late teens, and many Siamese live into their 20s. This is far longer than the 9 to 15 years of most cat breeds. 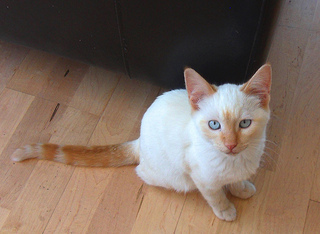 The Colourpoint Shorthair is essentially a hybrid Siamese cat that is available in other colours such as tortie point, lynx point, and red/cream point. The long-haired version of this cat is called the Javanese. Another hybrid of the Siamese is the Oriental, which has the Siamese face and body type but comes in 350 different colour and pattern combinations.Other breeds that were developed through interbreeding with Siamese cats include the Havana Brown (Black Domestic, Siamese, and Russian Blue), the Ocicat (Abyssinian and Siamese), and the Tonkinese (Burmese and Siamese). The Balinese, a long-haired Siamese variant, is most likely the result of a spontaneous mutation. Other than having long fur, the Balinese looks like a typical Siamese, with points in the four classic Siamese colours. Ardrey, J., Cat Fanciers’ Association (2007). 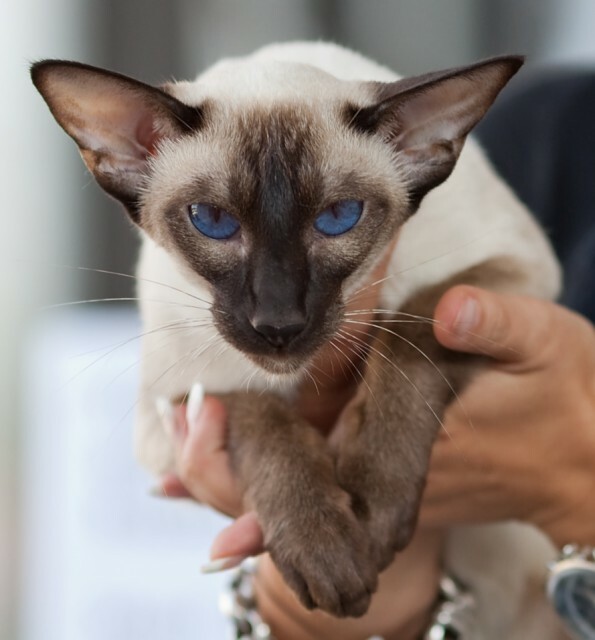 “Breed Profile: Siamese.” CFAinc.org. Hull, V., CFA Siamese Breed Council. (2003). “About the Siamese Breed.” Siamese.bc.org. Keers, H., translated by Bloks, T.P.J. (2003). “A Royal Cat from Siam: Myth or Reality?” Siamese.Mundikat.nl.